Gabriel Amargant Marzo, Oscar Rossignoli and David Pulphus perform at the New Orleans Jazz Museum on Thursday, October 18 at 2:00pm. 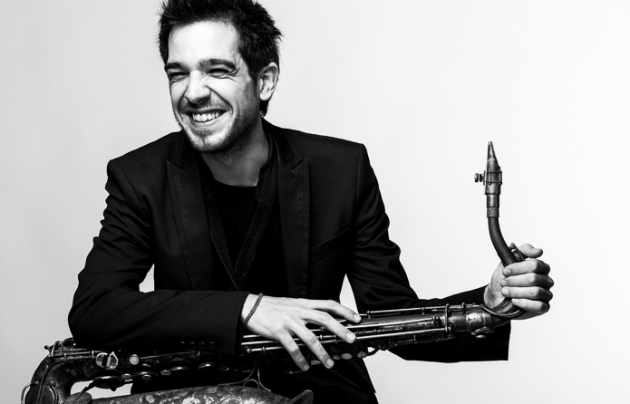 Born in 1986 in Argentina, Gabriel Amargant Marzo began his musical training in his hometown music school and, later, in the Josep Maria Ruera Conservatory of Granollers in the specialty of classical clarinet and jazz saxophone. In 2008 he graduated in the ESMUC (Escola Superior de Música de Catalunya) with honors. During these years of academic training, she obtains the Anna Riera scholarship granted by the ESMUC and the special mention of the Intercentros Melómano competition nationwide. The plurality of his training and the mastery of different instruments contribute to Amargant being a versatile musician, thus having the opportunity to collaborate in musical projects of different areas and styles: collaborations with symphonic orchestras and big bands, an intense activity as sideman in jazz, flamenco or pop, recordings of soundtracks and, finally, lead their own projects. In 2009 he presented his first record as a leader, First Station (Fresh Sound New Talent) at the Jazz Festival of Barcelona, obtaining a very good response from the public and critics and receiving the AMJM's musician of the year award. of Musicians of Jazz and Modern Music of Catalonia). In 2015 he published his second solo work, And Now For Something Completely Different (FSNT) within the framework of the Terrassa Jazz Festival and received the Enderrock award for the best jazz record of the year.